Blue@ print speaks.....: Is Jada Pinkett Smith cheating with Mark Anthony? 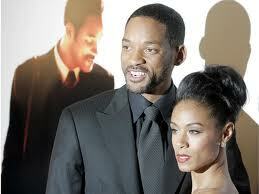 Is Jada Pinkett Smith cheating with Mark Anthony? Usa magazine celeb gossip"In Touch Weekly" reavels the drama affair between Jada Pinkett Smith with J.lo's Husband Marc Anthony. Accordind to In Touch Weekly claimed that Will Smith (42) says that he even caught them in one of their home in Los Angeles but Will says that their mariage is still strong and intact. But the accussed celebrities deny the affair that they are accused of...according to Weekly magazine.Jada Smith and Anthony have been co-starring on the TNT medical drama “Hawthorne.” and that is why they say they are having an affair. The big question remains "will singer Will Smith left in the dark with these gossip or Jennifer Lopez losing his man to Jada?